Our SEO checklist is complete and covers all areas of SEO including technical SEO, on-page SEO, Off-Page SEO, Local SEO and mobile SEO. How to use this checklist? The best way is to download the list, print it and start working through the items one-by-one. Completed: You already done this. In-review: You need more information about this before making a decision if this is something you need to implement on your website or not. Pending: You know that this needs to be done but it’s not completed yet. In-Progress: You already started working on this. Create a plan and specify when you plan to work on all items that are in-review or pending. My recommendation is not to skip any item, even if it seems not so important. When it comes to SEO, sometimes it’s a lot of small things together that can make a difference in your Google rankings. Download SEO Checklist as a PDF: You can download the checklist as a PDF or view online using the links below. To take advantage of this checklist and use it effectively to improve your SEO, you need to understand the different components that make up search engine optimization or SEO as it is widely known. What is SEO? SEO is a process that has a set of rules you can apply to your website so that search engines can access, crawl and index your content without problems. Your overall goal with SEO is create better websites both in terms of content and usability that will keep both users and search engines happy. If you have read my previous post on how search engines work, you know that search engines are governed by complex algorithms that use a number of parameters before making a decision as to which websites to show in the top of the search results. To be able to control the whole SEO process and give algorithms what they want, the various SEO rules are grouped into different categories and thus how other terms like technical SEO, on-page SEO, off-page SEO, local SEO, mobile SEO are born. Your goal with technical SEO is to help search engines find, access, crawl, interpret and index your website without any problems. It is called “technical”, because it has nothing to do with the actual content of the website or with website promotion (more on this later). Test your schema markup implementation using the ‘Google Structured Data Testing Tool’. Help Search engines and users understand your content. On-Page SEO is all about the content of your page and it has two major goals. To help you create content that satisfies the user intent and give you guidelines on how to create SEO friendly content that is easily understood by search engines. 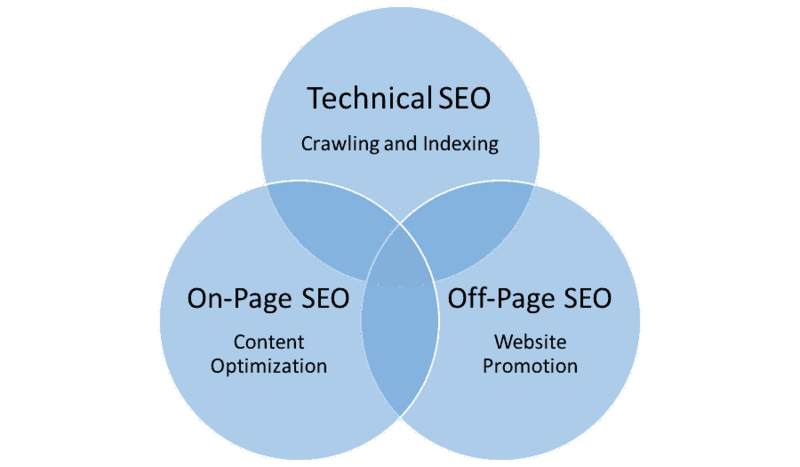 As shown in the above diagram one of the major components of on-page SEO is content SEO. Check how your website looks when you search for your brand name in Google (search result snippet) and optimize your site structure for sitelinks. Revise your internal linking strategy to ensure that they comply to best practices. Revise your external linking strategy and give credit to other high quality websites. Perform keyword research and enrich your content with long tail keywords and LSI keywords. Optimize candidate posts for Google’s featured snippets. No SEO checklist is complete without mentioning Off-Page SEO. Technical SEO and On-Page SEO (including content SEO), will help you create an SEO friendly website that users will enjoy but to rank higher in Google, you need more than that. This is where off-page SEO comes to the rescue. In simple terms, off-page SEO is about website promotion techniques and how to convince search engine algorithms that your website deserves a higher ranking in the search results than other websites. Higher rankings will lead to more organic traffic and this is what all website owners want. Off-Page SEO is not optional but a necessary component of your SEO strategy. 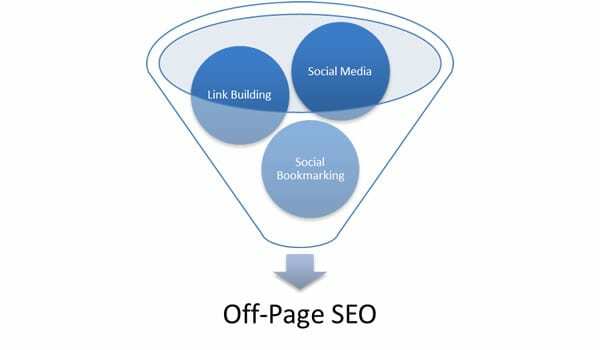 Your overall goal with off-page SEO is to get high quality incoming links from other related websites on the Internet. Links act as a ‘vote of trust’ and they are taken into account by search engine algorithms. Make no mistake, it’s not a numbers game i.e. it’s not about having more links than your competitors but it’s about having the right type of links that can push your rankings up. Mistakes with off-page SEO i.e. buying links, participating into link exchanges or other actions that violate Google webmaster guidelines, can get you in trouble. A Google penalty (either manual or algorithmic) may be imposed on your website and you will lose your rankings and traffic. 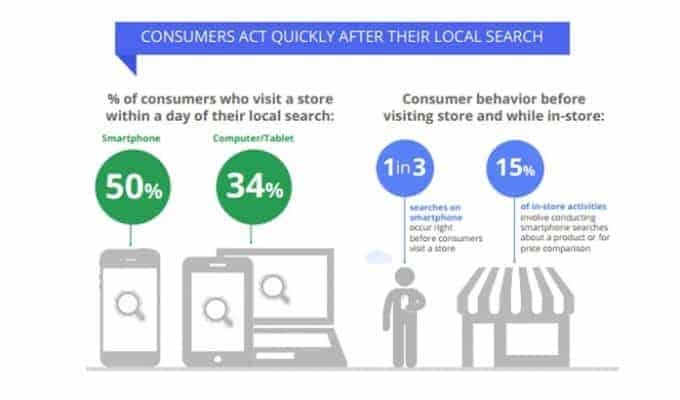 Get found for location aware searches and get more people visiting your brick and mortar store. In addition to the above techniques, there is a subset of SEO called Local SEO. Everything included in this post is beneficial for Local SEO as well but when it comes to optimizing your website for searches related to specific locations, there a few more optimizations to take into account. Your overall goal with local SEO is to rank higher for location aware search queries like ‘Italian restaurants near me’ or ‘dentists in Pennsylvania’ or ‘wedding photographers in Montreal’. 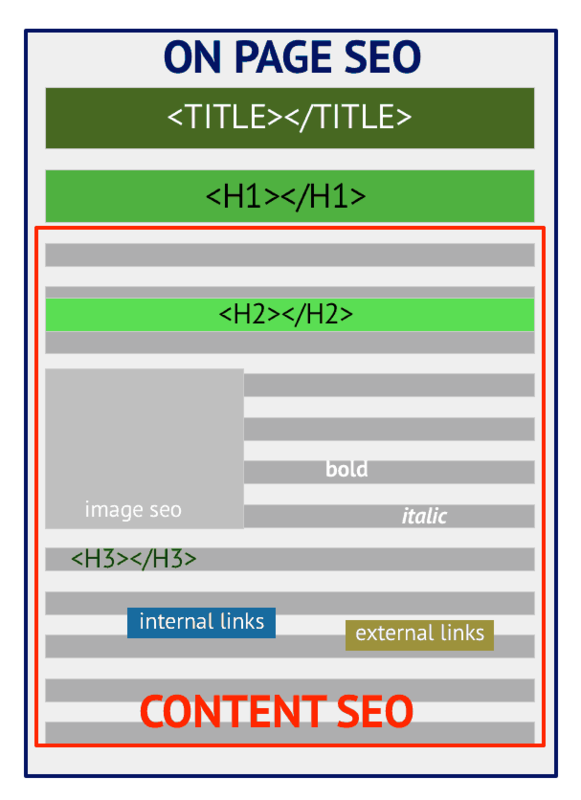 Get your website ready for Google’s ‘Mobile First Index’. If you haven’t done this already, go and check your Google analytics statistics and in particular the Devices Report (that’s under Audience / Mobile). Most probably you will notice that at least 60% of your traffic comes from mobile. The rise in mobile searches has been huge the last couple of years and it is expected to grow even more in the coming years. This factor led Google into creating a mobile first index. In short with the introduction of the ‘mobile-first-index’, Google will use the mobile version of a website for ranking purposes. This means that if your website is not optimized for mobile, your rankings will eventually decrease and this means great loss of traffic. While going through the mobile SEO checklist, have in mind that your mobile website should include all the content found on your desktop site. This includes having optimized titles, description, text content, images, video, internal links and everything that you show in the desktop version. If you have a responsive website then you already made a big first step but mobile SEO is not just about having a responsive design. Check your mobile speed using Google’s mobile speed test tool. Having a checklist is a great way to work on your SEO. What you read in our SEO checklist above covers almost all areas of SEO. If you manage to make your website compliant with all the above items, then you can feel confident that your website is in good SEO shape and this will eventually translate to higher rankings and more traffic. For some of the list items you will have to do some further reading in order to get it right but as long as are in control of your list, sooner or later you will finish all tasks. As mentioned in the introduction, don’t skip any of the items even if you feel that they are not very important. Experienced SEO’s know two things about search engine optimization. First, is that a lot of small optimization changes can bring big results. Second, besides knowledge another SEO success factor is patience. It takes time for SEO to work and you need to take that into account. Don’t rush into conclusion too soon, work through the list items one by one and be patient, results will follow. Comprehensive checklist it is. You did not leave any room to discuss more about SEO, by the way thanks for this huge informative post and i have also downloaded its PDF version. Thanks Noman, glad you found our SEO checklist helpful. Extensive and updated SEO checklist. Thanks a lot. Glad you liked it, thanks for your comment too. 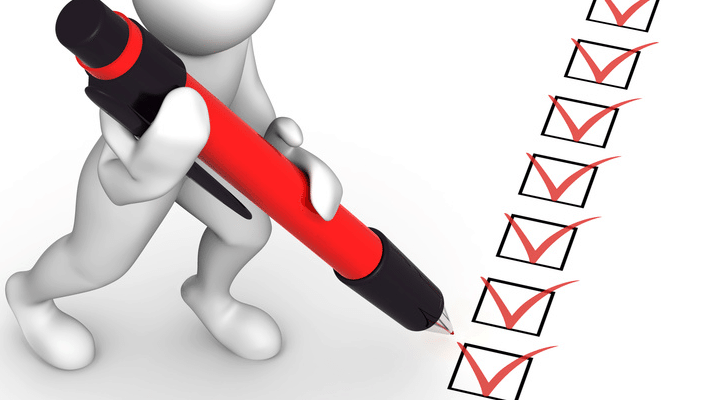 Wonderful post Alex and your checklist is amazing and very useful. Website load time makes a huge difference in your ranking, so always make sure your website loads under 2 second. As new to blogging I learned a new and amazing knowledge from this post. Keep sharing such amazing stuff. Fantastic job Alex! Two thumbs up! I will definitely use this checklist for my SEO tasks. Thanks for the article Alex, it will help me work on my blog “trendy Lifestyle”.